Yesterday I started going through a box of things of my mother’s that I had packed after she died. There are many boxes my siblings and I will tend to in the coming months, but this one I packed just for me, with clearance from them of course. 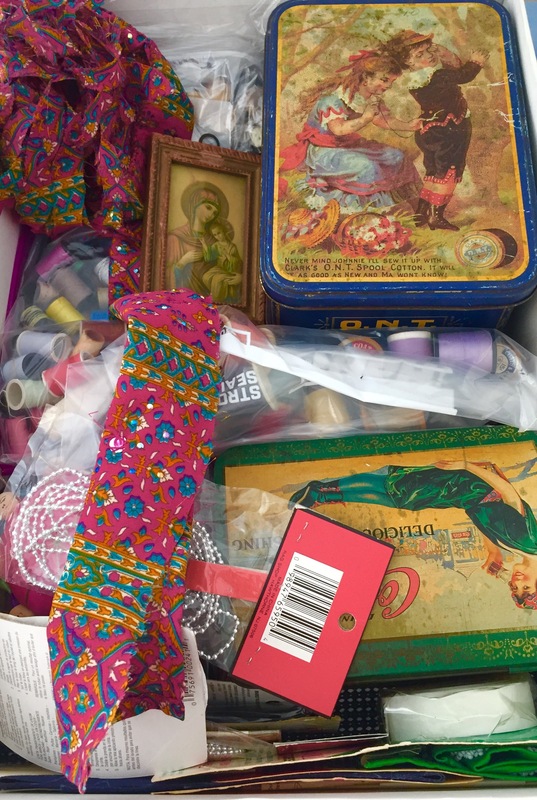 These things… fabric, pictures, her sewing basket and sewing boxes; some of these are my grandmother’s, too. 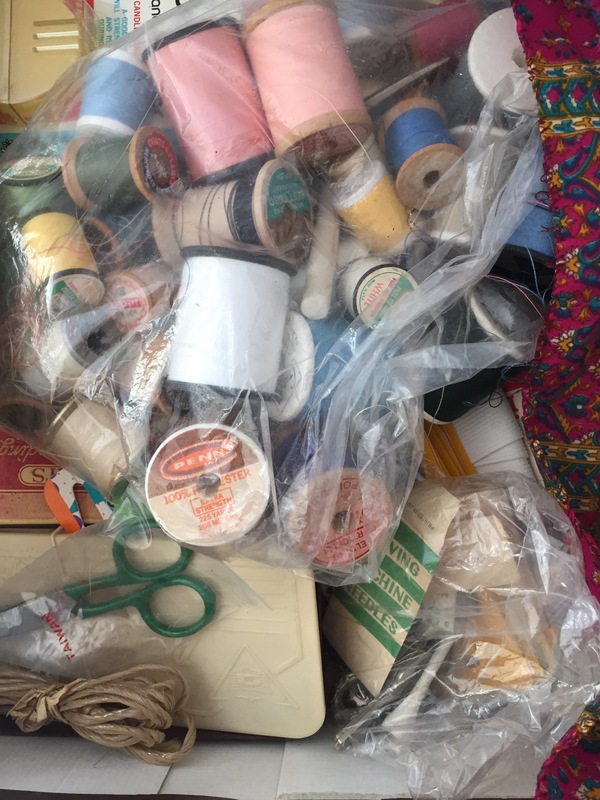 It’s amazing, the little tiny sounds of rustling around safety pins and spools of thread, like the lilting music of a lifetrack. 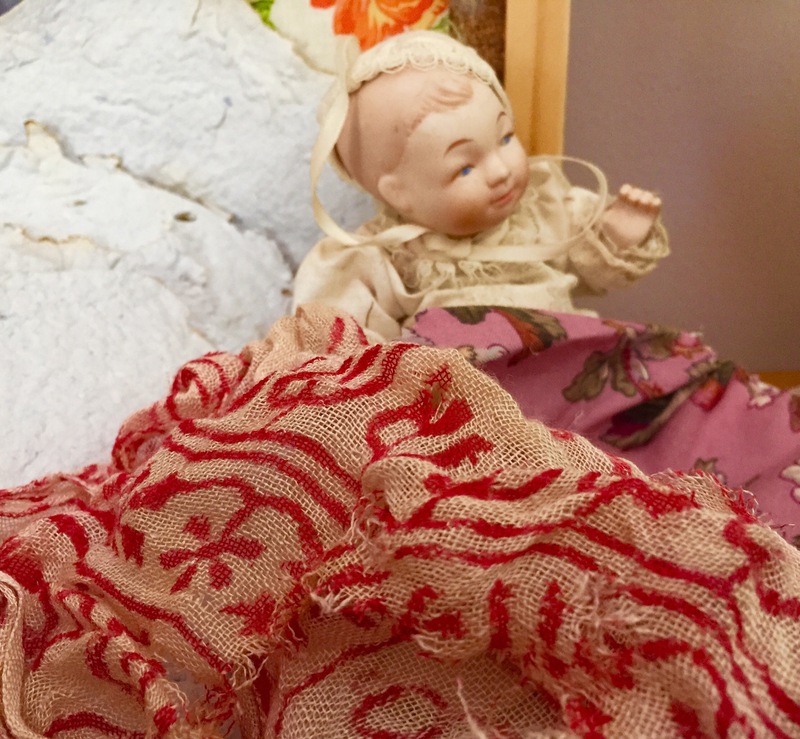 All of those taken for granted quiet moments when my mom or grandmother sewed something up and passed it along, or wore it again, or hoped for something more perfect but sighed and put down the needle anyway. Nothing is perfect. 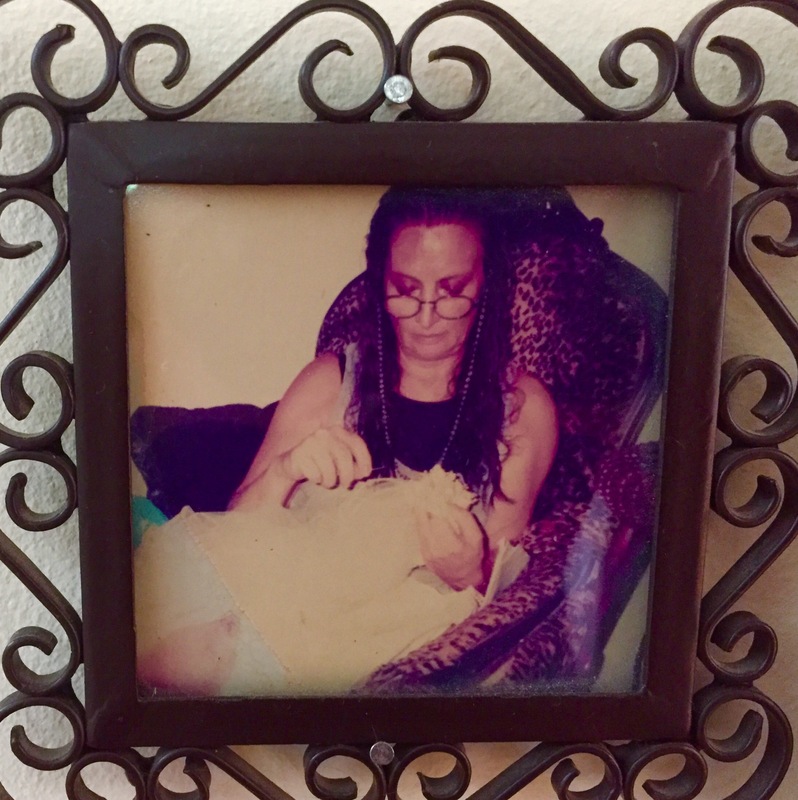 This picture is of my mom sewing my wedding veil. We found the headpiece on a ridiculously fun shopping trip and she made it even more lovely, adding the flowing fabric and little beads. 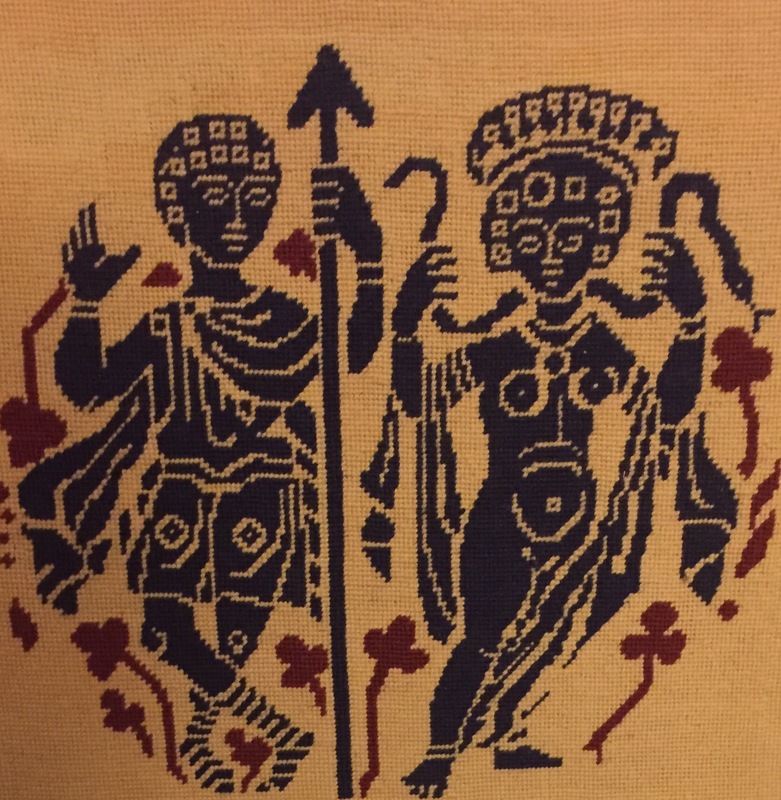 This is a needlepoint my mom made years ago~ I remember it from when I was very young. These are little bits of many things that will end up somewhere, somehow. 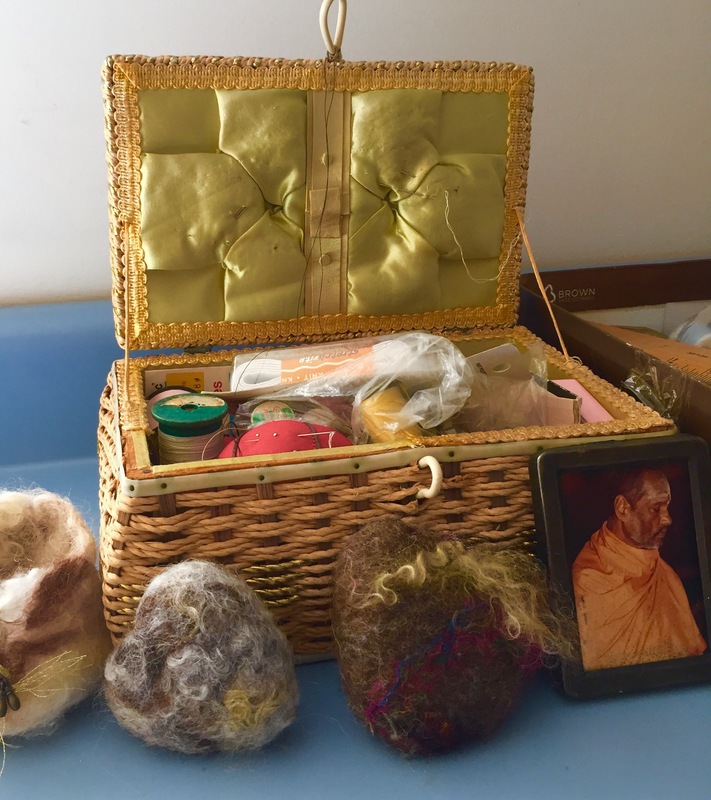 And some hearts I made for my mom and grandmother, and a bowl, and a picture of Swami Muktananda, with (I think) my grandmother’s sewing basket. I’m getting back to some making. The sounds of summertime are helping. I actually make more in the summer, when the windows are open and the air is warm, muggy, froggy and quiet. Summer vacation is around the corner and I am more than ready to fall into love with less pressure and clock watching. I can hear the tinkling of chimes outside, underneath the constant conversations between birds. In a little bit the frogs will start their nighttime melody and if I’m lucky, the coyotes will pass through in the darkest hours. Categories: Handcrafting, Healing and Handcrafting | Tags: creativity, death, died, grandmother, grief, love, mother, sewing baskets, summer, summer sounds, unpacking | Permalink.